When it comes to video games, one villain wins above the rest, and thats the first one I ever saw. 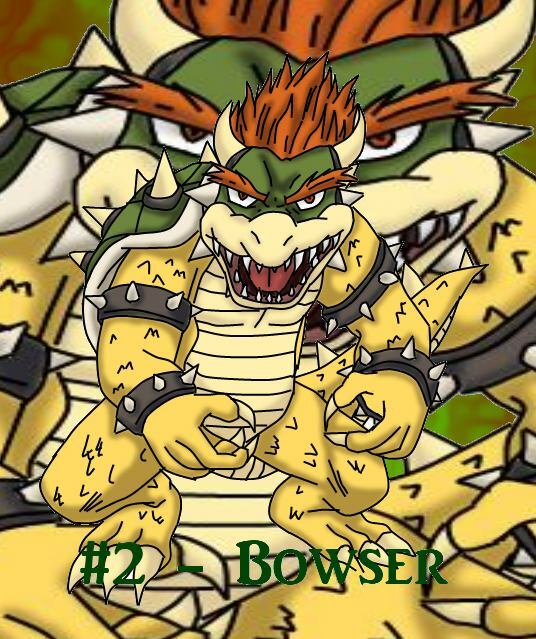 That would be Bowser, the king of the koopas, at number 2. I remember he used to be called King Koopa, so when I saw him with the red hair, I assumed he was someone different, but I was wrong. I like how his voice sounds in the more recent games, definitely better than the one in SMSunshine.